This view is from Dozier (also known as Vacaville Junction), looking railroad West (South). This portion of the line is now owned by the Western Railway Museum. 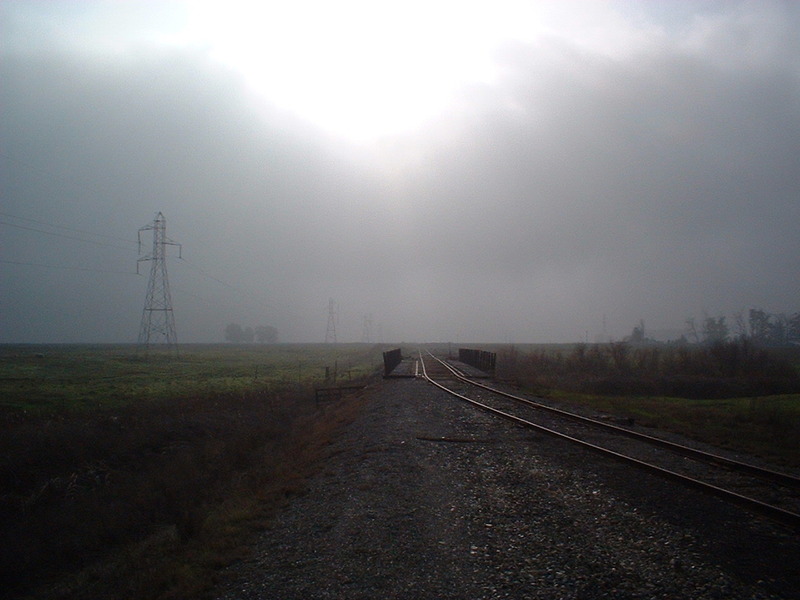 This is a view of the trestle at Dozier, looking South (railroad West) toward Rio Vista Junction. Also, thanks to Key Route Ken, I mistakenly identified this as Vacaville Junction--which is incorrect. This wye was simply known as Dozier.